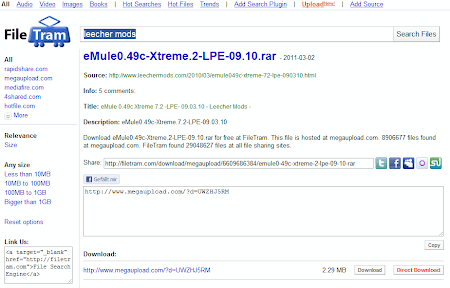 Today I want to introduce a very cool File search engine which allows direct downloading from many File share hosting sites. FileTram's website is easy to operate just like Google. You can specify your search on File sizes and File types: All Files, only Audio, Video, Images or Books. 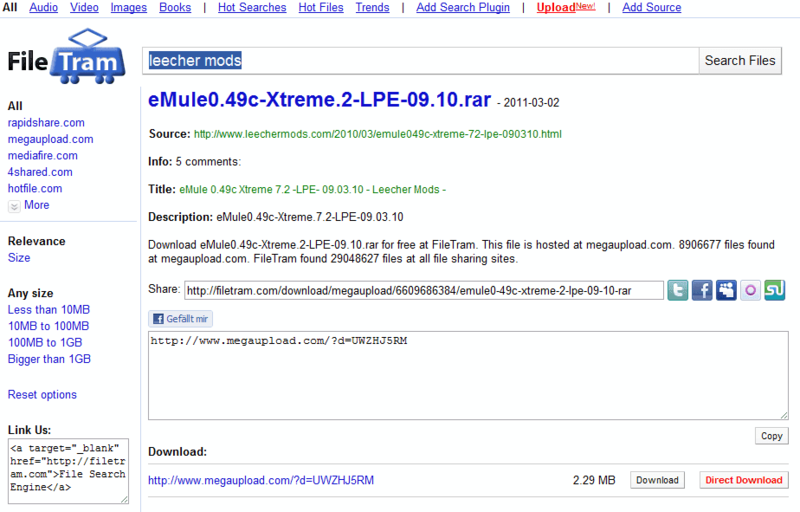 It is possible to upload files to FileTram via 2shared and add sources as well as just downloading like a premium user from the supported fileshare hosters. Read here for a full feature list. You can share the Search Results on Twitter, Facebook, Myspace, Okut and Strumble Upon.